COSPLAY USA Puts the Power in the Cosplayers’ Hands! Ever wonder what it’s like to be a cosplayer? Want to experience the road to the coveted World Cosplay Summit? Did you know this time-honored hobby had its roots planted as early as 1939? Learning about all this and the thought process and technique behind gorgeous, intricate anime, manga, and gaming costumes might just make you want to take up a pair of scissors, bust out a sewing machine, and start dressing up yourself. 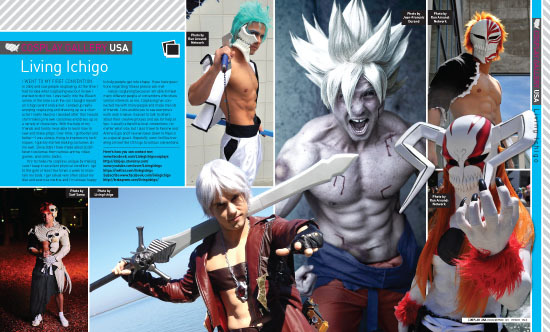 Cosplaying can be a pretty wild ride, and we’d love to take you along with Cosplay USA. We’re proud to share this special issue with you, and we know the cosplayers and photographers within are just as proud to share their amazing work, so get ready to suit up and dive in!